Our beef is sourced from local farms, is produced by experienced stockmen who are renowned for the quality of their livestock and their farming systems and is personally hand-selected by Rob himself. Cattle are slaughtered locally and butchered at the purpose-built Butchery Unit on our own farm. 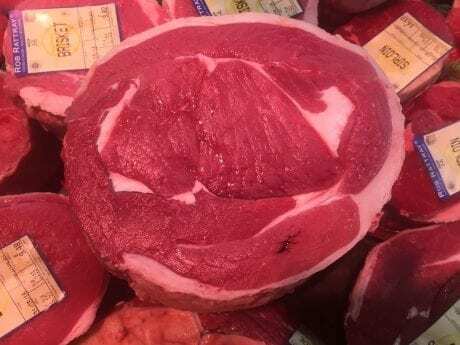 Hind quarters are hung on the bone, in a temperature controlled environment for at least 21 days to mature; during this process the enzymes break down the muscle fibre, which concentrates the flavour and makes the meat increasingly tender. Our beef has a good cover of fat, which is essential to prevent the meat from drying out during the hanging and to maintain succulency during cooking.